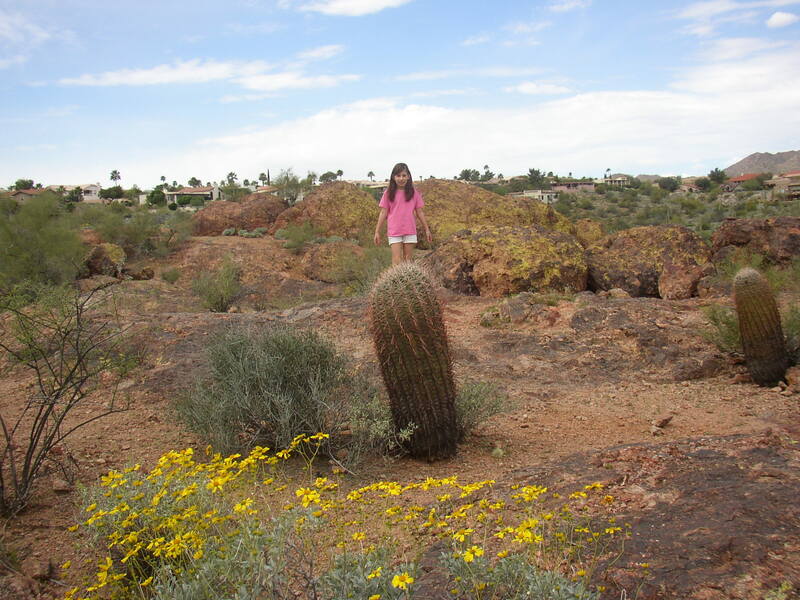 If you’ve got a kid, Fountain Hills, Arizona, is a fun place to visit. First on the agenda is Flapjack’s 16605 E. Palisades Blvd in the Bashas shopping center for breakfast. Their child’s pancake breakfast brings a grin to your munchkin’s face. Two fluffy pancakes are served with bacon or sausage. You can chow down on the house specialty — oven-baked pancakes, a delightful concoction that’s part soufflé, part warm fruit and part pancake. Next stop is the Dollar Tree Store in the Target shopping center on Shea. For probably less than $10.00 you can fill up a basket with water toys, art supplies, dolls, action figures and lots more. Your child will be entertained for hours, which means you get a bit of a break. Make sure you pick up a bag of unsweetened cereal –no, it’s not for the kids. On the way back take Fountain Hills Blvd and stop at the Fountain Hills Botanical Garden located on the west side of the street. 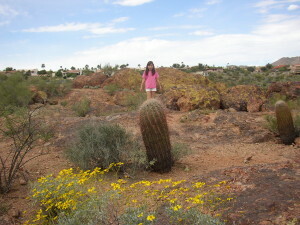 Desert plants are labeled along the easy pathway. At one point on the path, houses aren’t visible, leaving you to imagine what it must have been like before the Valley of the Sun was settled. What’s a visit to Fountain Hills without a stop at the world famous fountain? While you’re waiting for the fountain to do its thing, walk around the entire lake. Ducks and other waterfowl make the lake their home just waiting for your kid to toss them a mid-morning snack of cereal. Make sure you bring a blanket and put some of those Dollar Tree toys to work at the park. Visit the playground and if it’s warm, the splash park. Euro Café has a stunning view of the lake and fountain and a reasonable children’s menu. Fountain Hills is fortunate to have a great library at 12901 E. La Montana, with a spacious and fun filled children’s area. 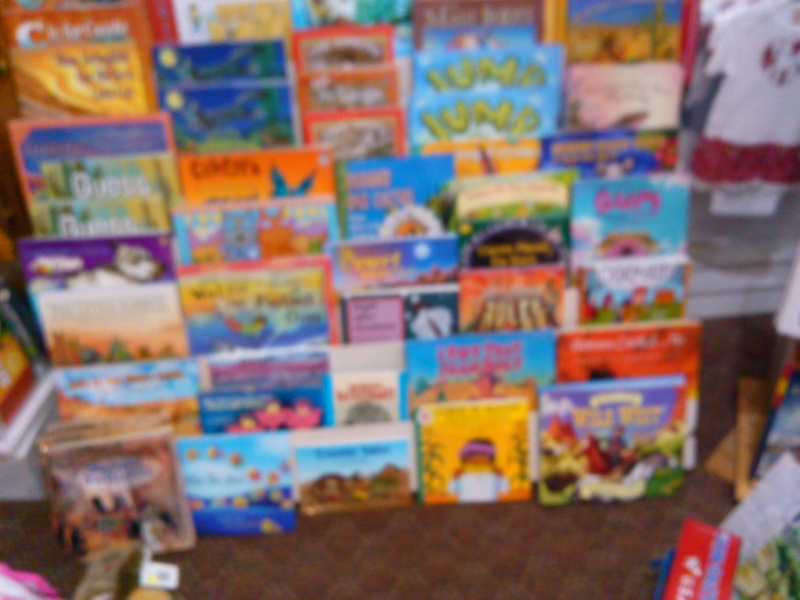 Even if there isn’t an activity scheduled, there are books galore: picture books, chapter books, animal books. Take your tyke on a tour of France, introduce them to weird insects, or prehistoric monsters. Explore the Egyptian ruins or the far reaches of the Alaskan tundra. It’s all there at the library just waiting for you. The River of Time Museum is right next to the library. There is a minimal admission fee. 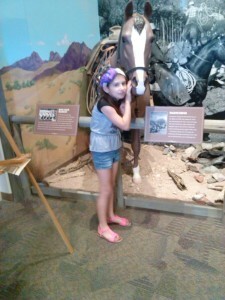 Learn that Fountain Hills was located on a working cattle. How the town gets its precious water supply and that the current canal system was inspired by ancient Native Americans. 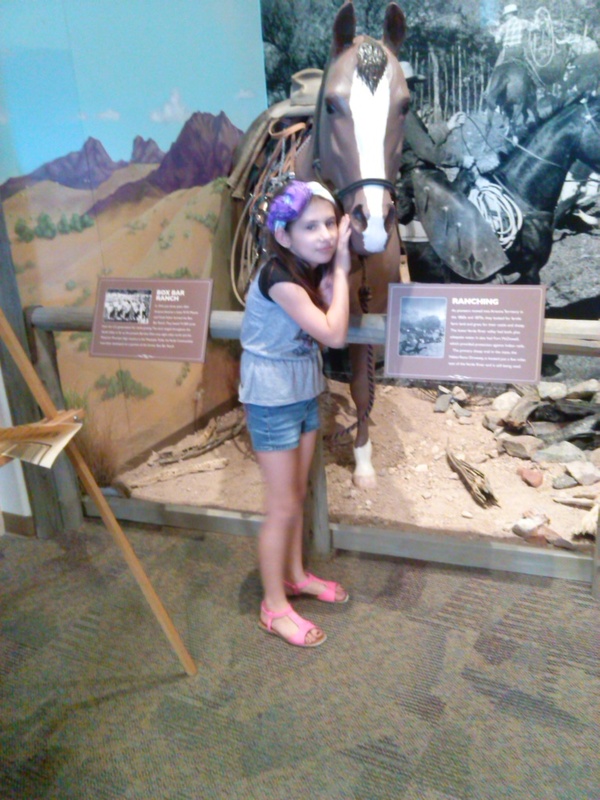 Think about what life must have been like at Fort McDowell in the 1890’s. Your last stop is a stroll along the Avenue of the Fountains. Make sure you stop at Gridley’s, part office supply, general store and souvenir shop. 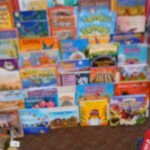 Gridley’s stocks a supply of Southwest oriented coloring books, stuffed toys and games. By this time both you and your kiddo should be happy, tired, and ready to head on home.